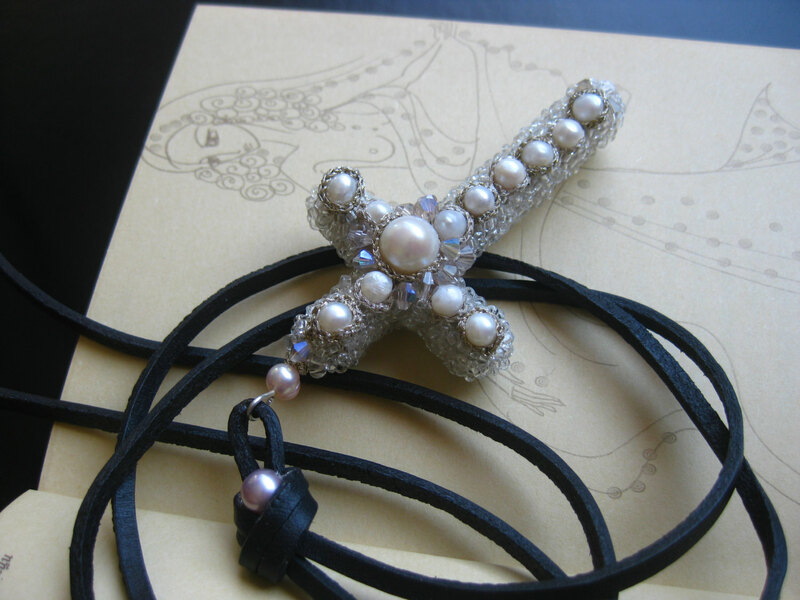 Handmade cross necklace, inspiration from the 1800′s era. 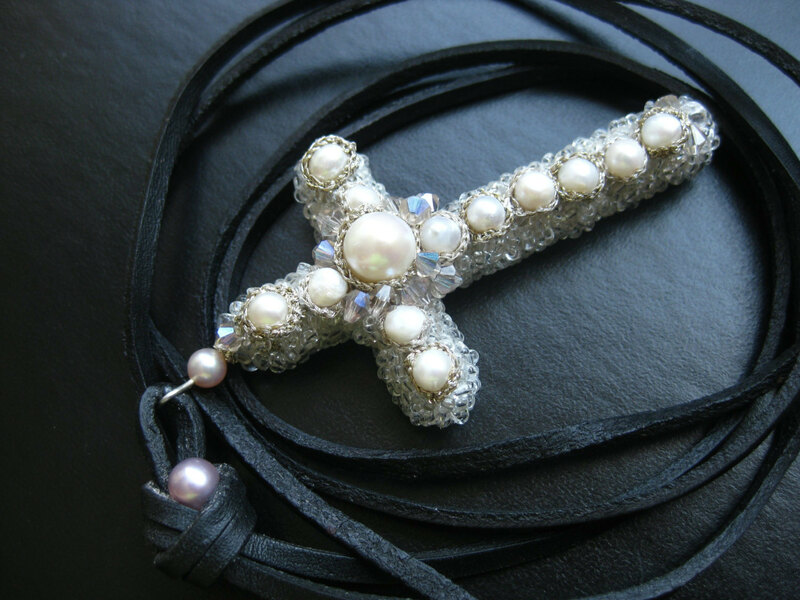 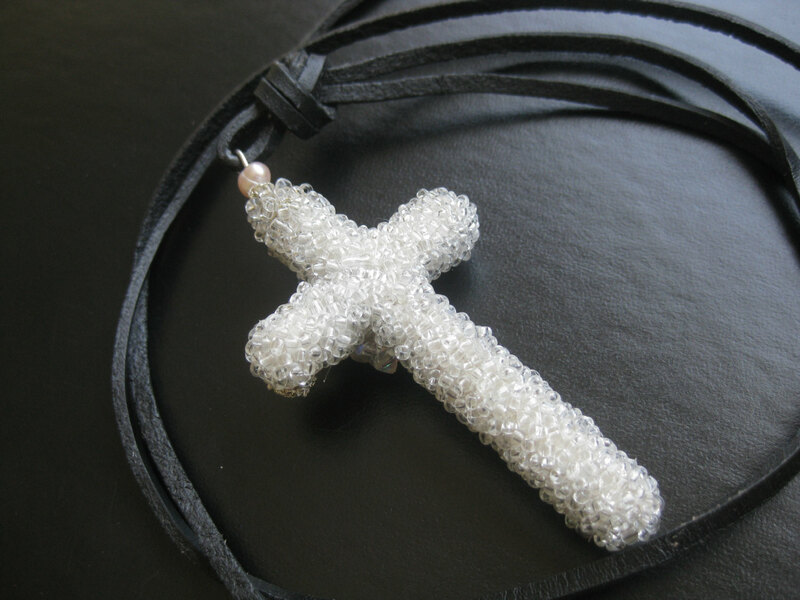 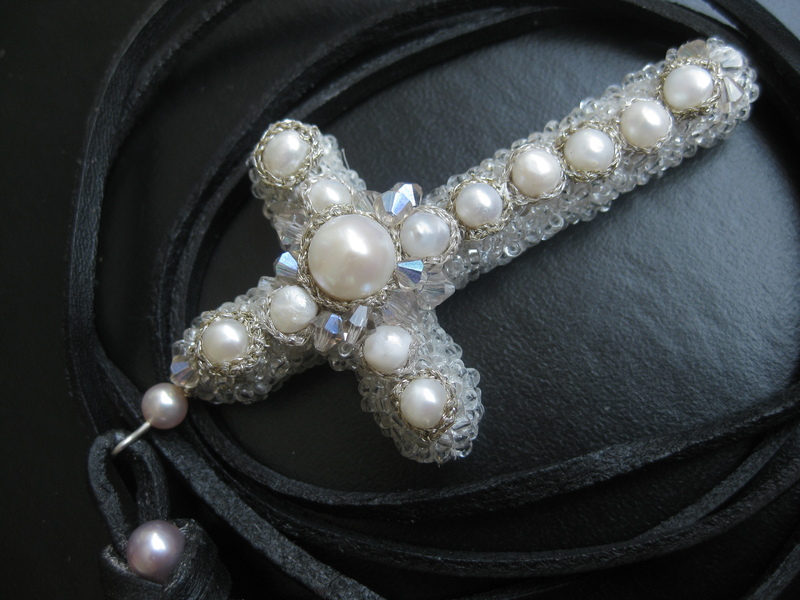 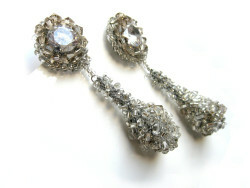 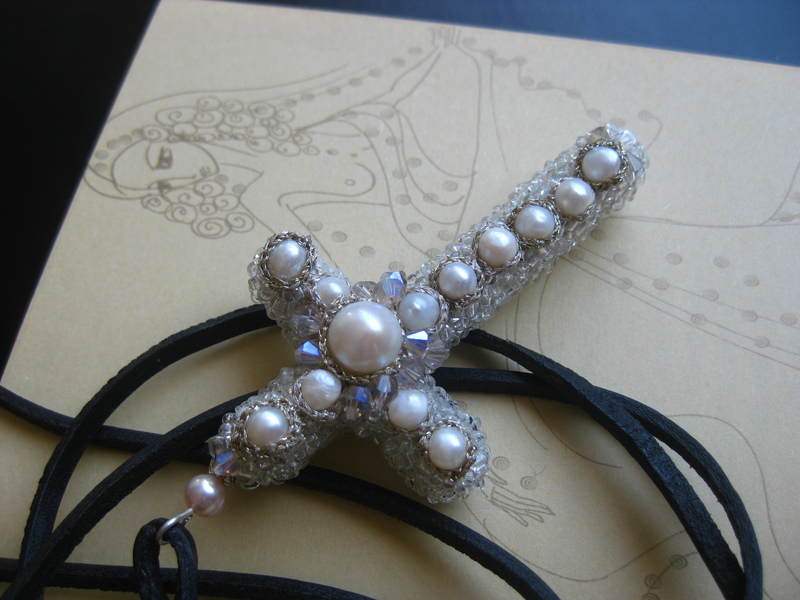 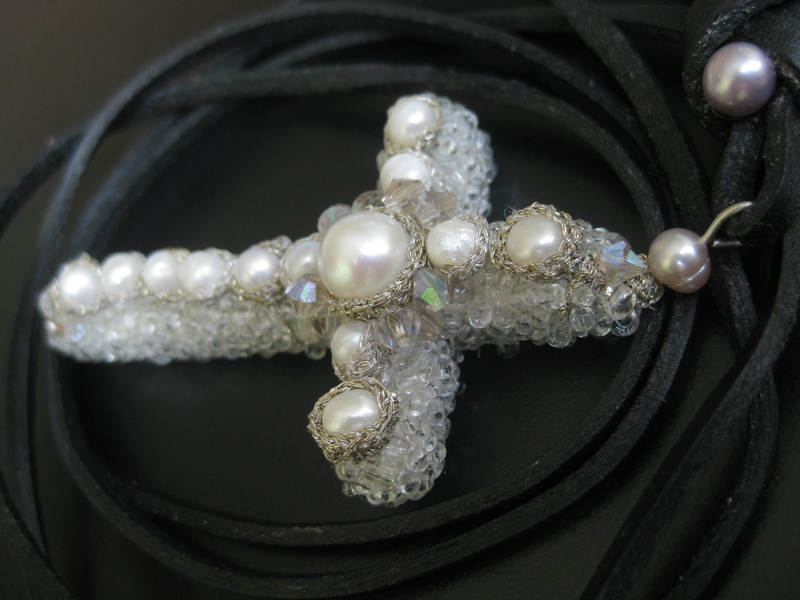 The cross is richly decorated with various shapes and sizes of several fresh water pearls in natural milky white color, hundreds of czech glass beads and many sparkling crystals. 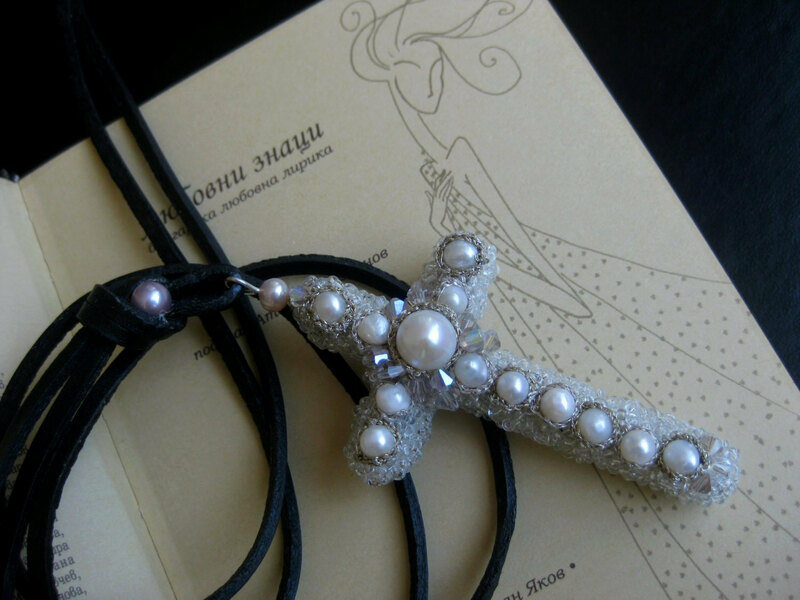 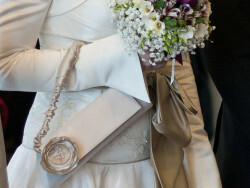 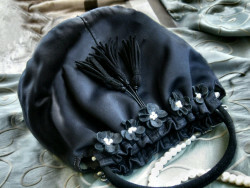 This creates an extraordinary and eye-catching design that will match any fashion-forward style. 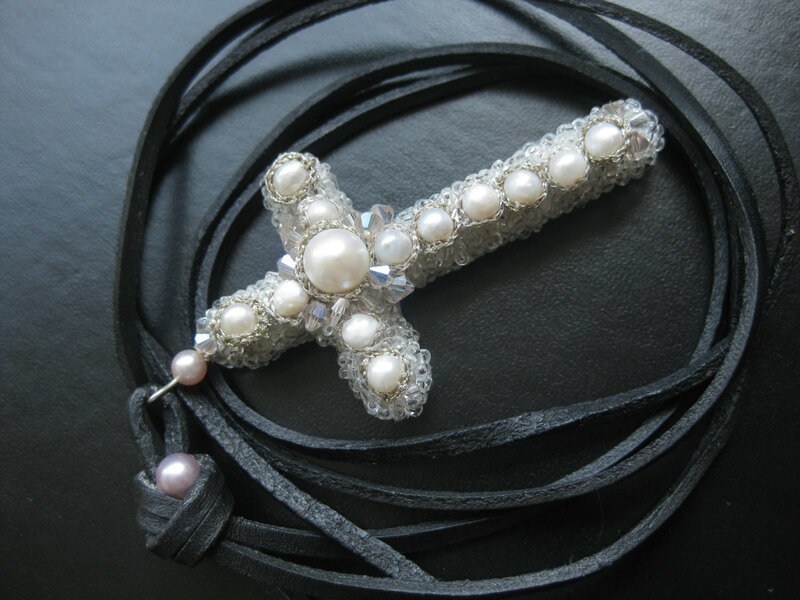 See my other jewels including some more cross necklaces – one with black crystals and pearls inspired from edwardian era and another one with white pearls and crystals in victorian age style.